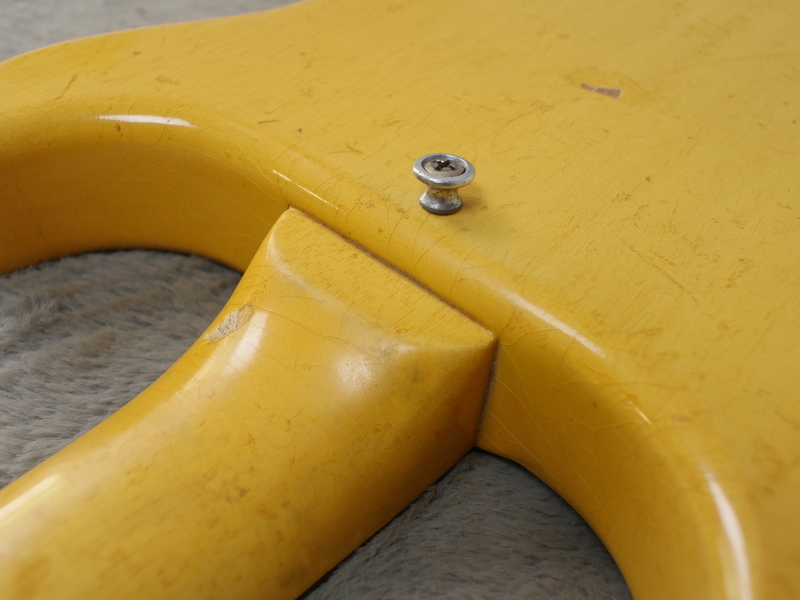 No excuses, no issues, aside from a few replaced fingerboard dots, totally correct, raunch machine with no breaks, repairs, touch ups or anything untoward, anywhere. 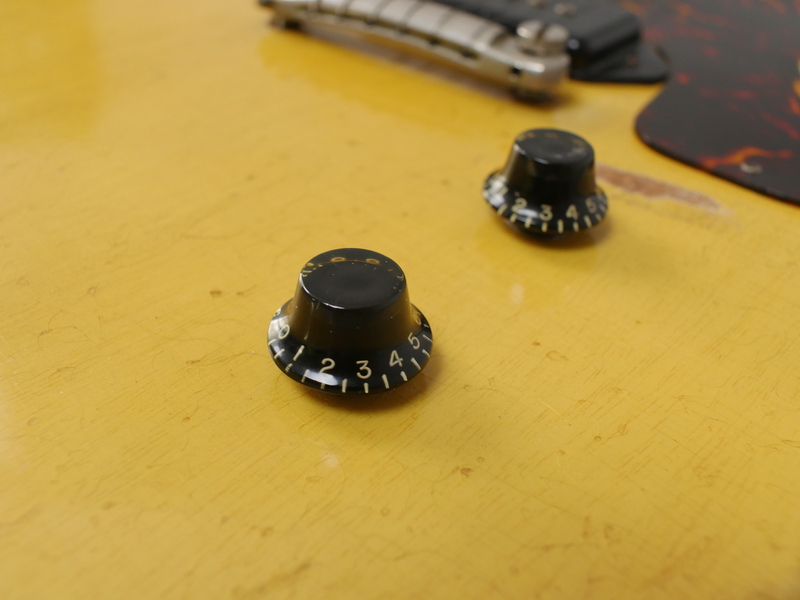 Just as we like them. 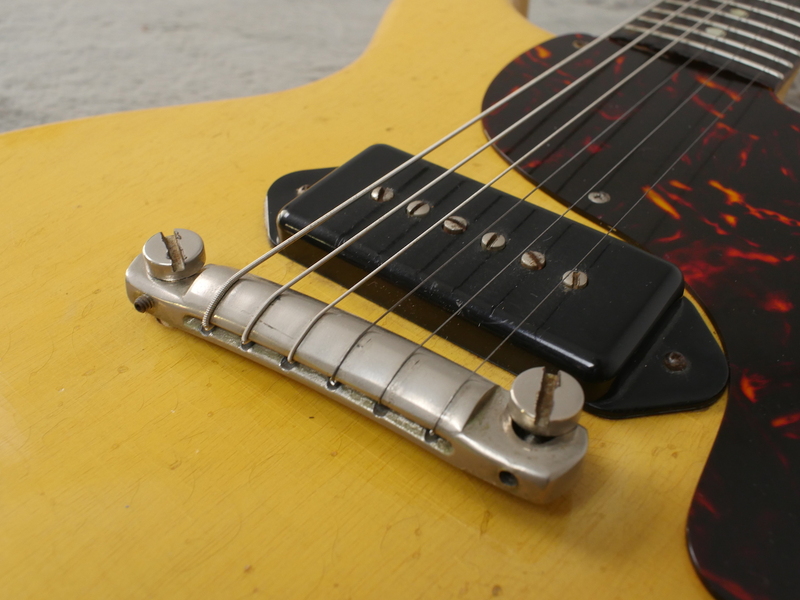 3.15Kg of lightweight, powerful tone that would even set a JC-120 alight and if you happen to have a high power Twin in your amp arsenal it will be total Satisfaction. 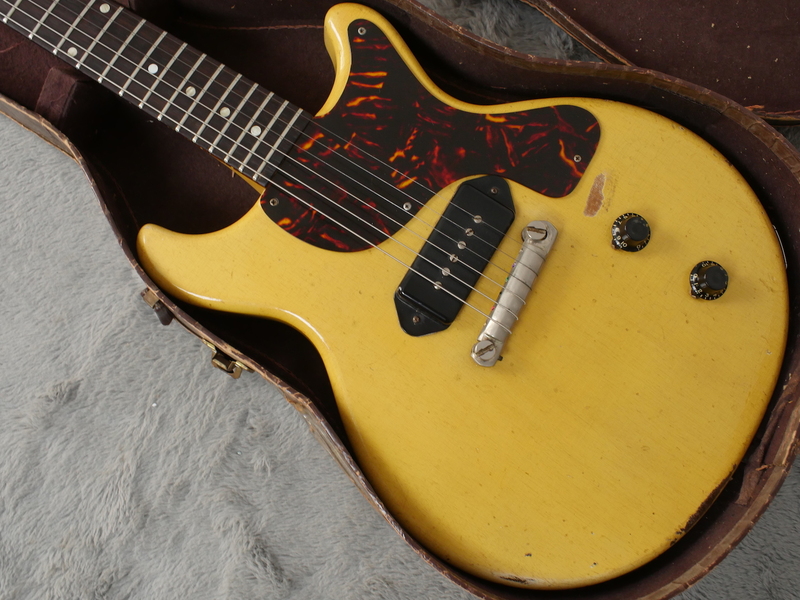 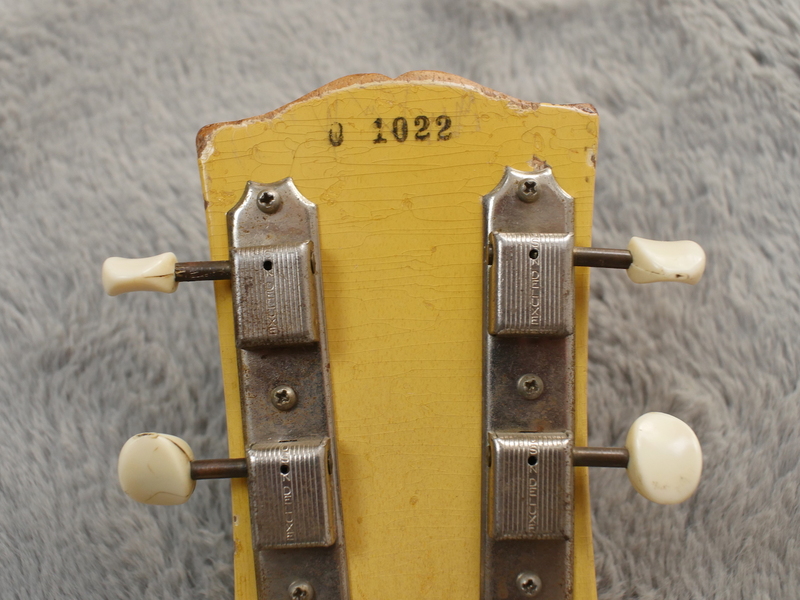 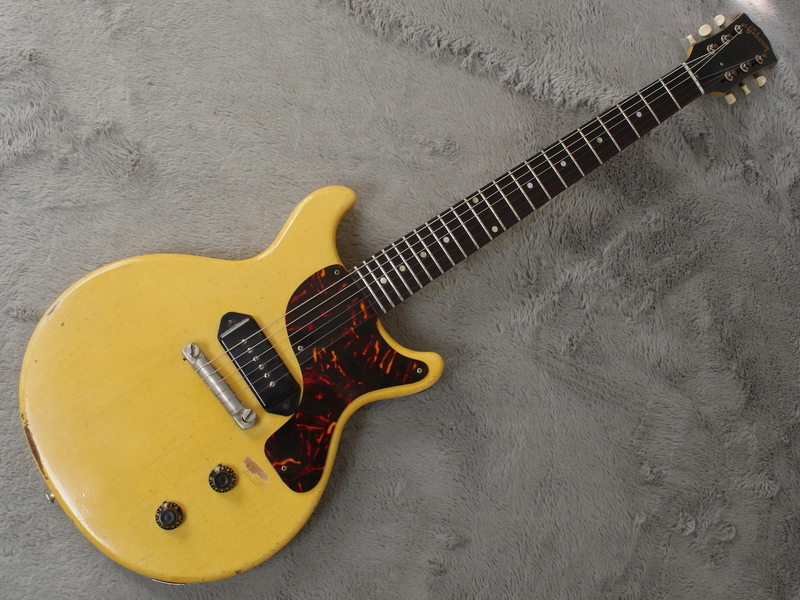 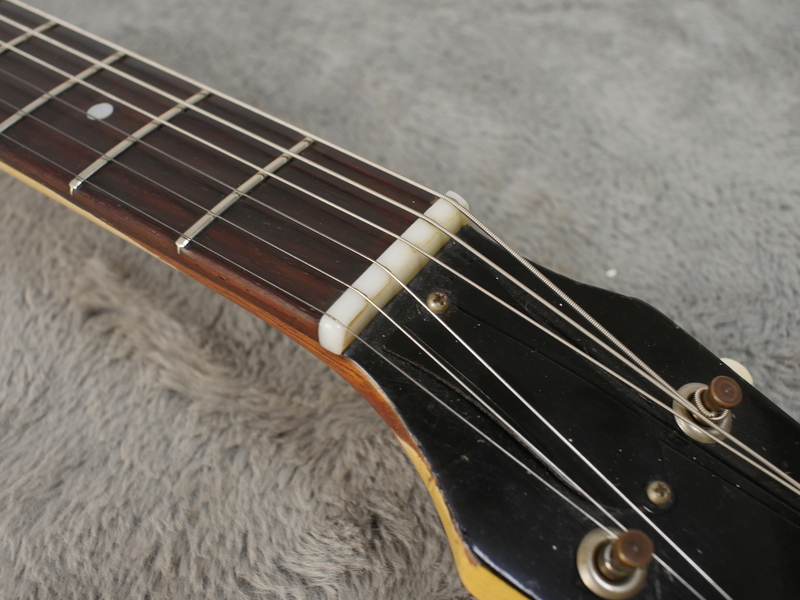 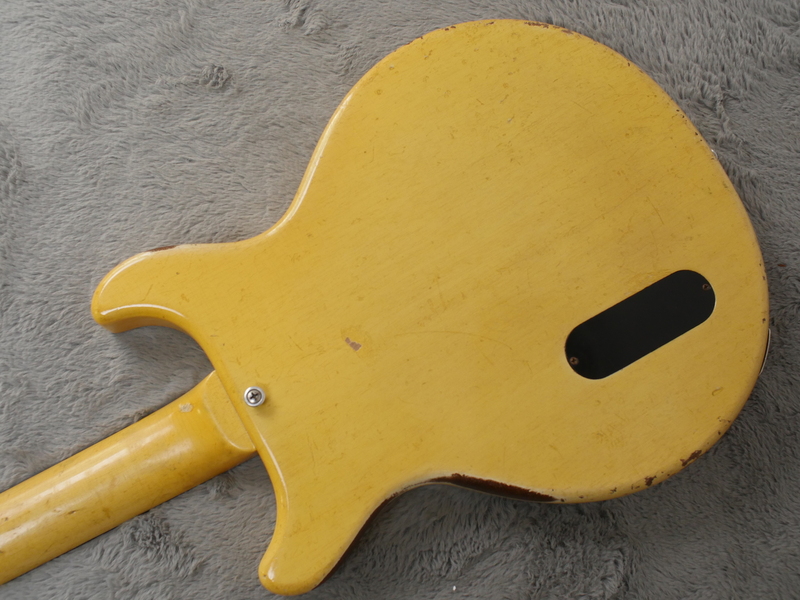 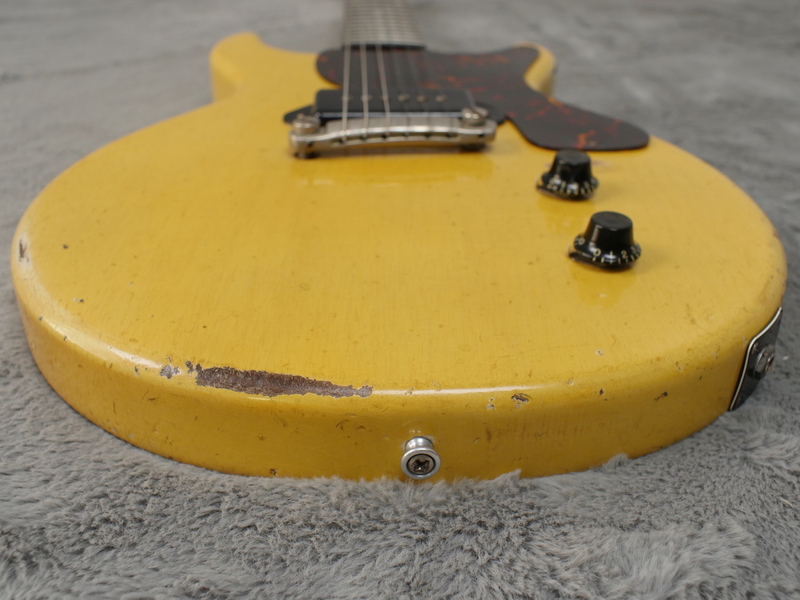 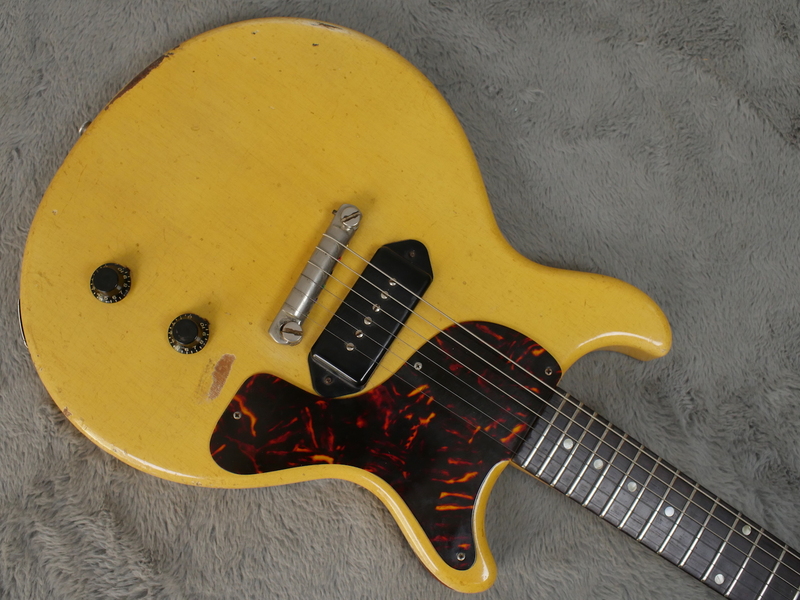 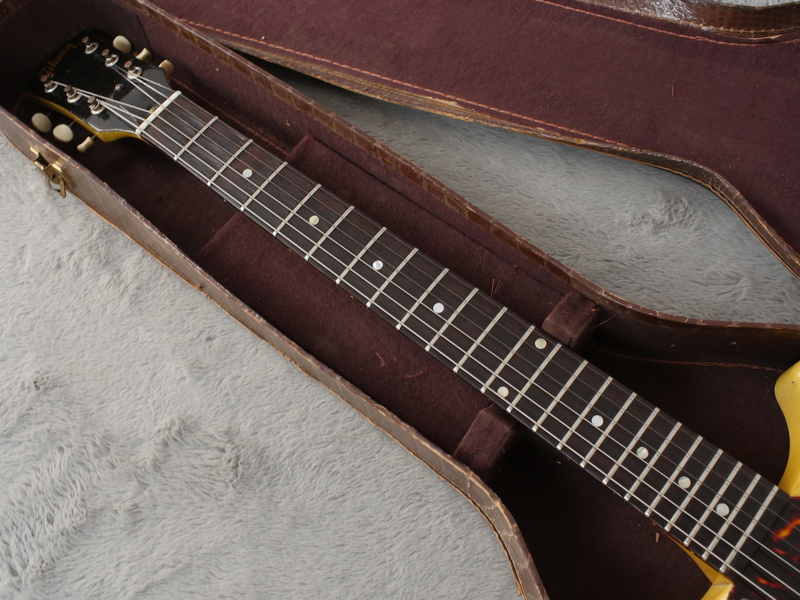 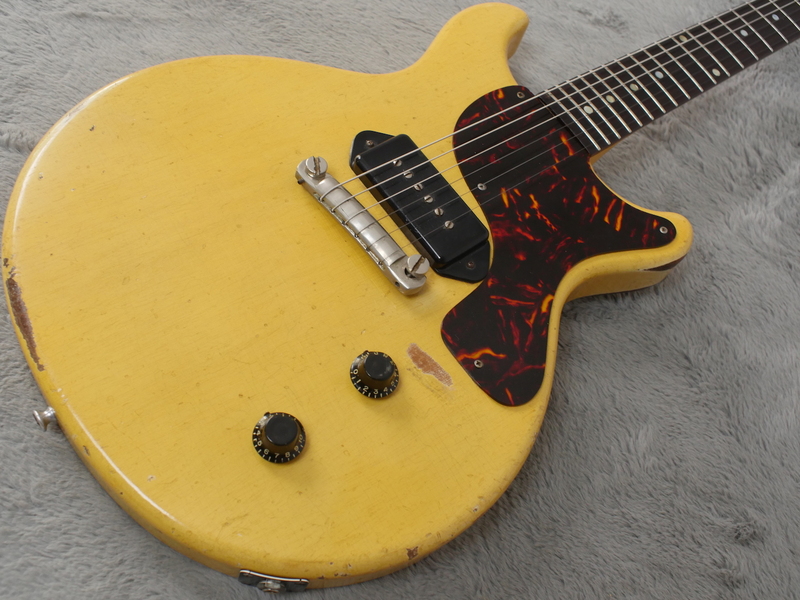 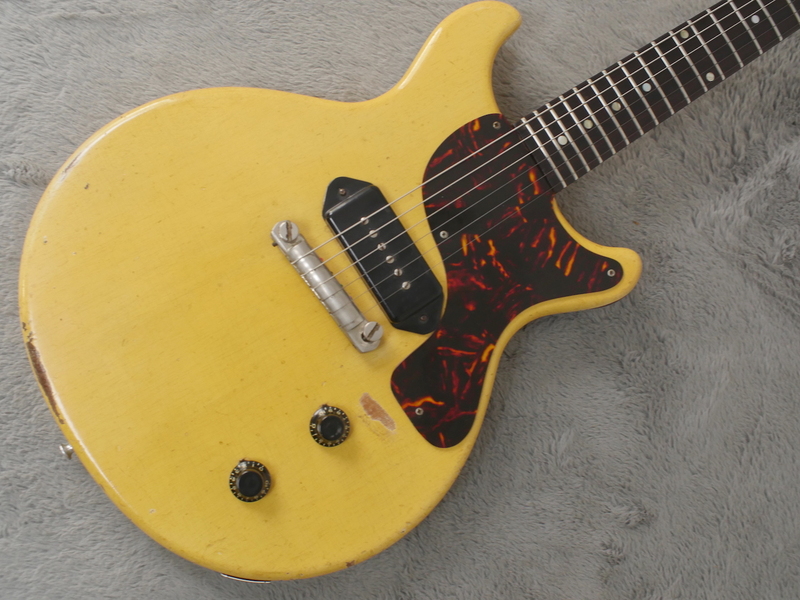 This is an early 1960 TV Junior with a lovely, full feeling 1959 neck profile that most players consider to be the the pinnacle of Gibson’s neck design. 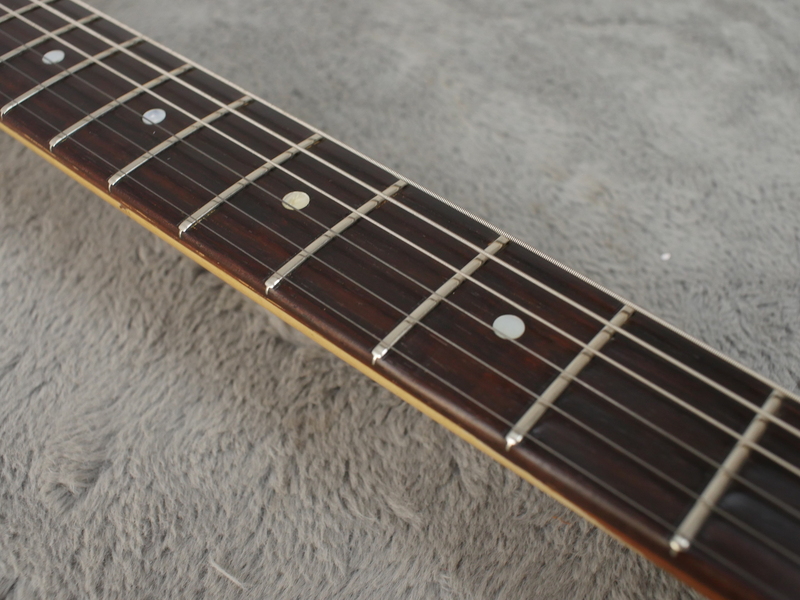 It has all original frets that still have an amazing amount of meat still left on them, no doubt due to a fair amount of playing with flat wound strings early on in it’s life. 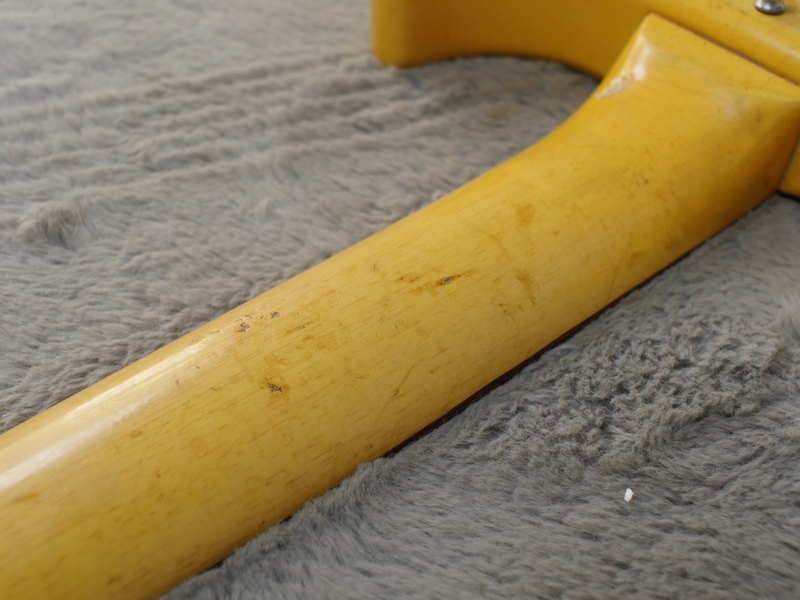 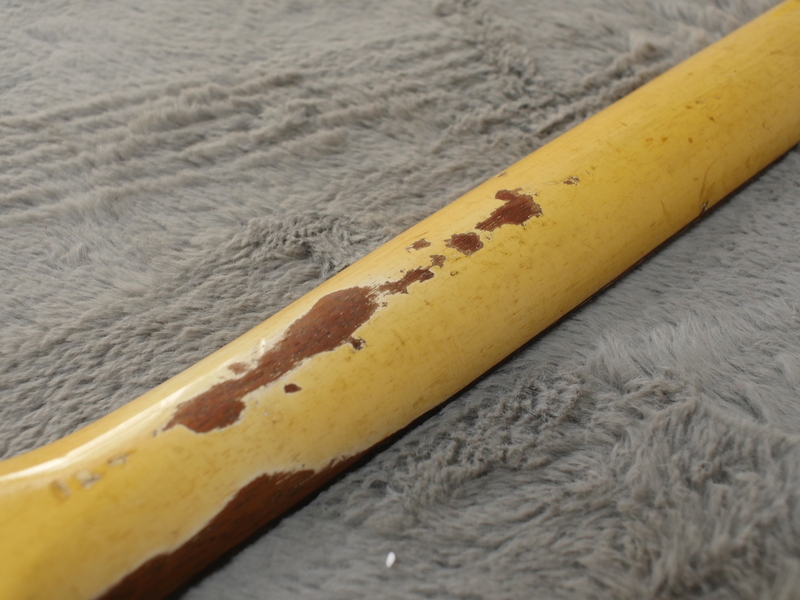 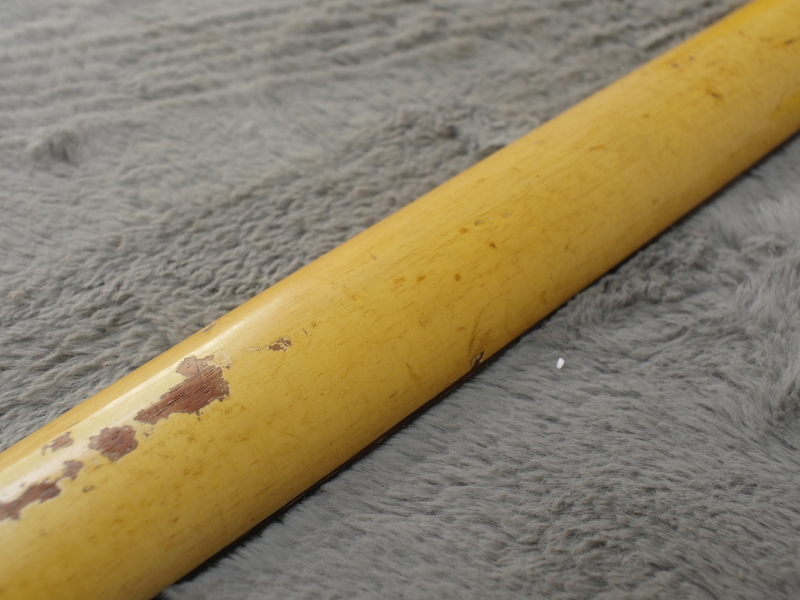 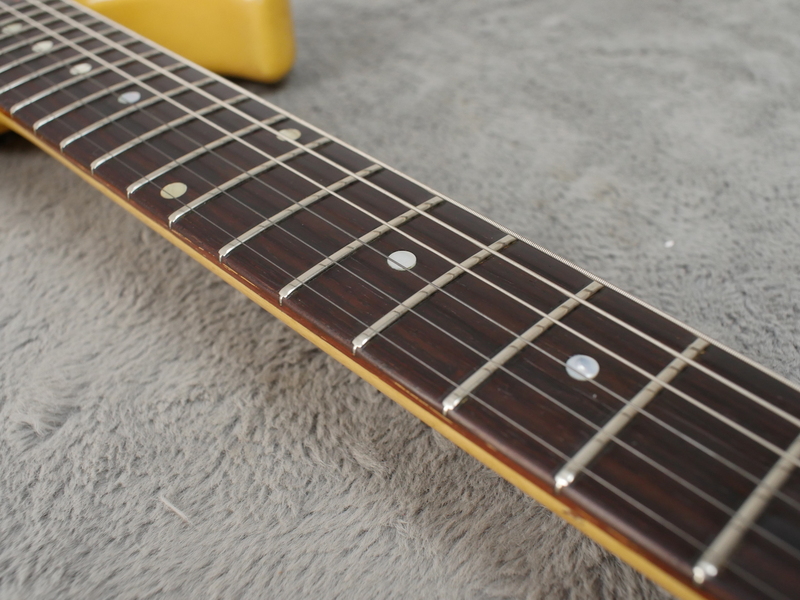 There are a couple of wear spots on the fingerboard around the first few frets and some wear on the back of the neck that is part of the course with these TV finishes. 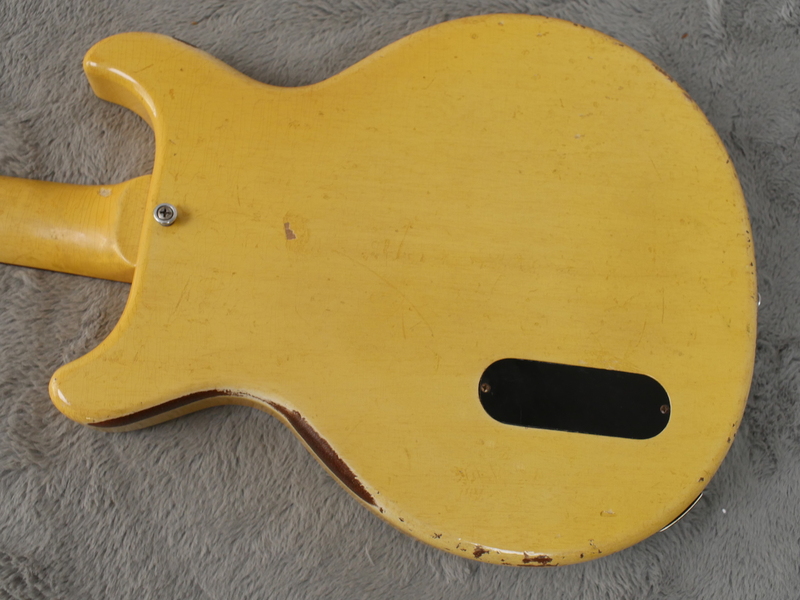 Body is is very good shape, again not perfect but nicely played in with dings and checking here and there, some wear by the volume pot and a bit of wear on the edges. 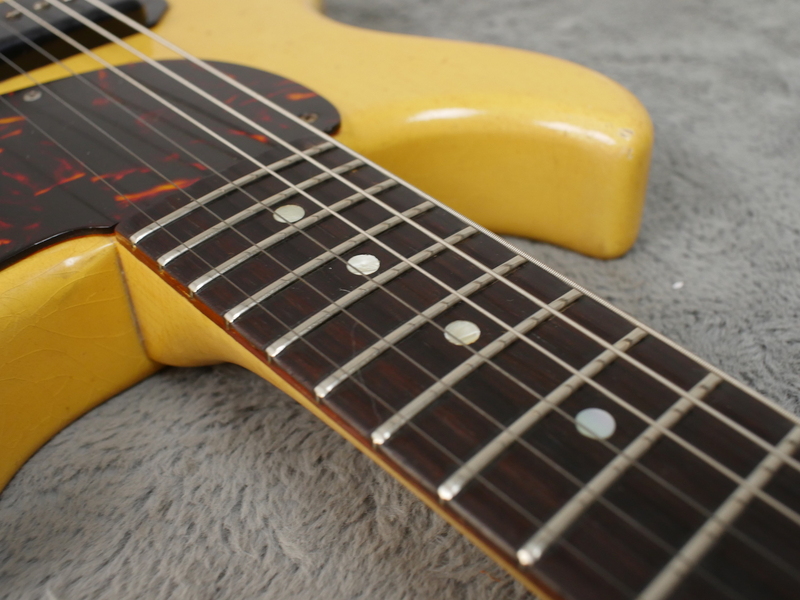 Have a look at the photos in the gallery taken from all angles to see the cool, nicely played in vibe this guitar exudes. 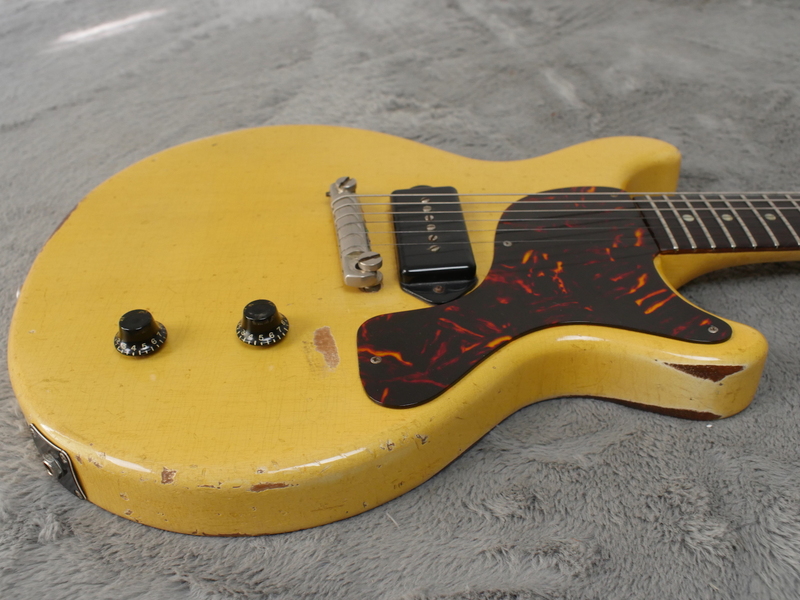 Everything plays real well and it is quickly becoming a store favourite here at ATB Guitars, feeling effortless to put on and play whatever takes your fancy. 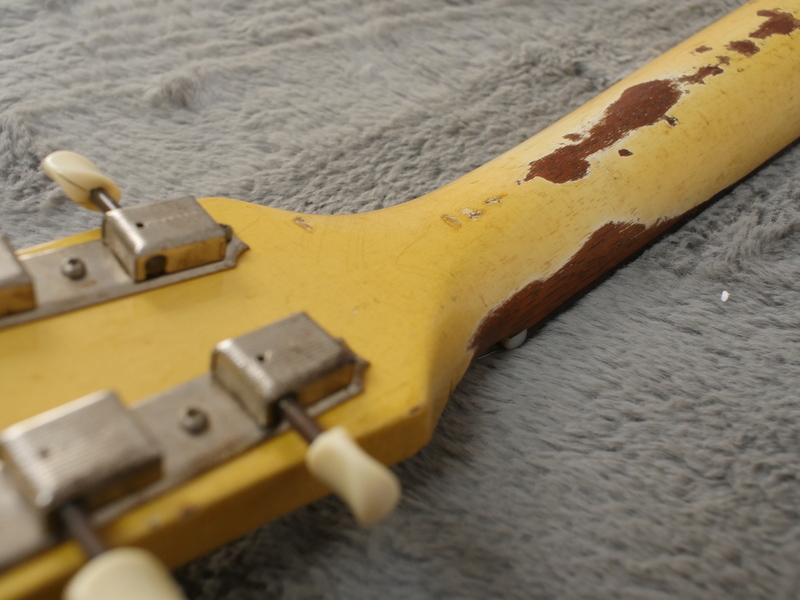 All hardware is original, or correct and included is a correct soft shell alligator case in OK condition but does have some tape holding it together. 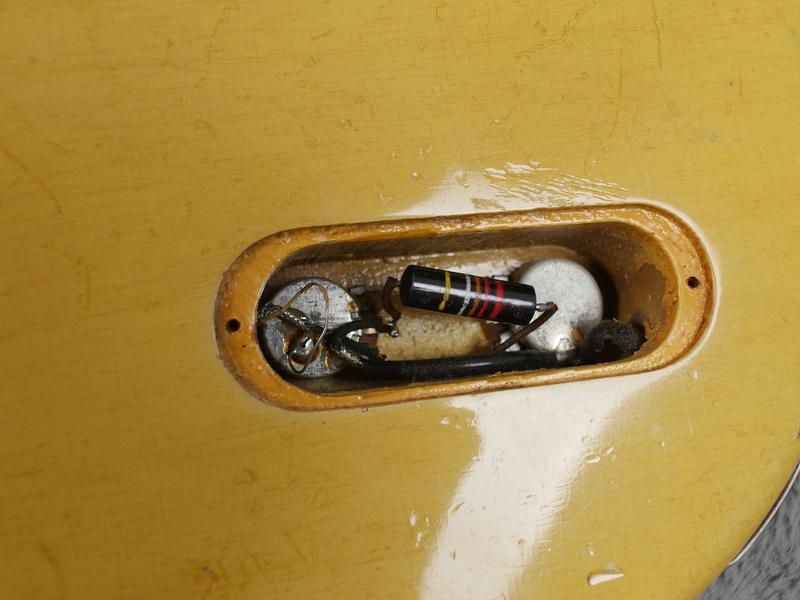 Handle is broken off and inside the case pocket. 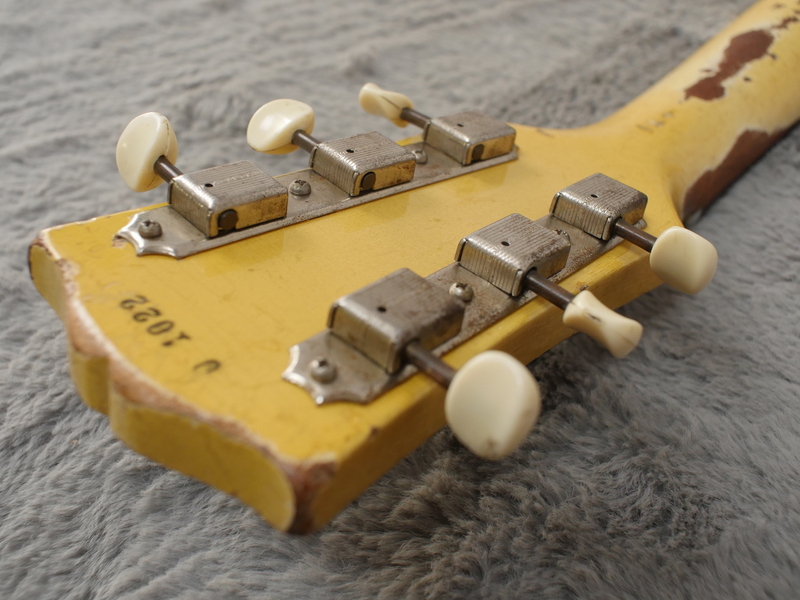 It is in keeping with the played in condition of the guitar. 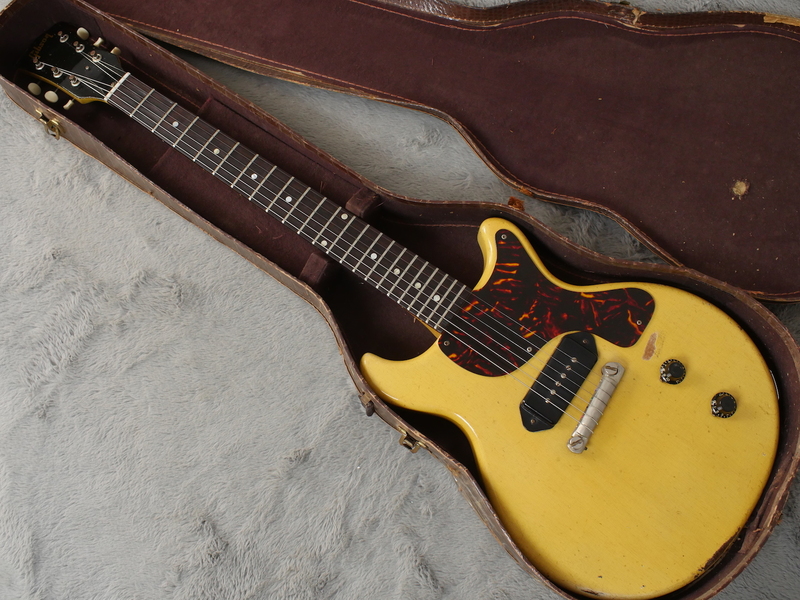 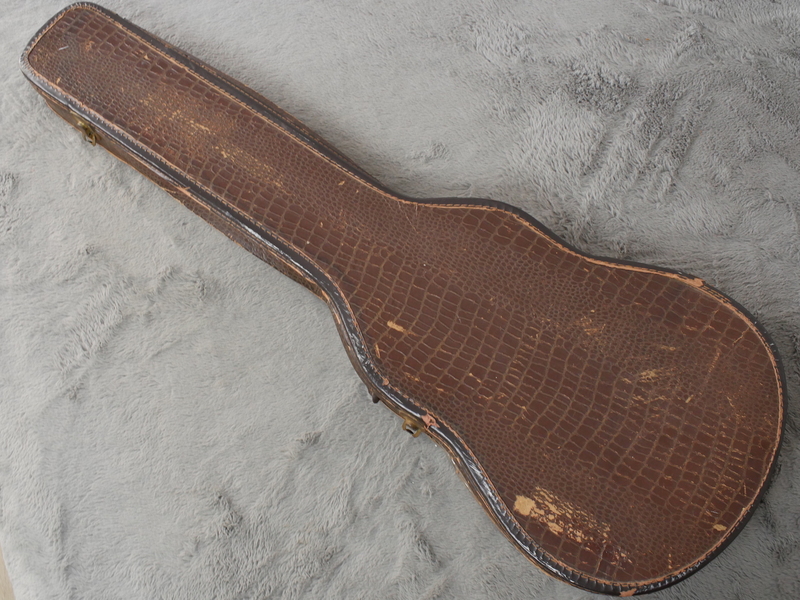 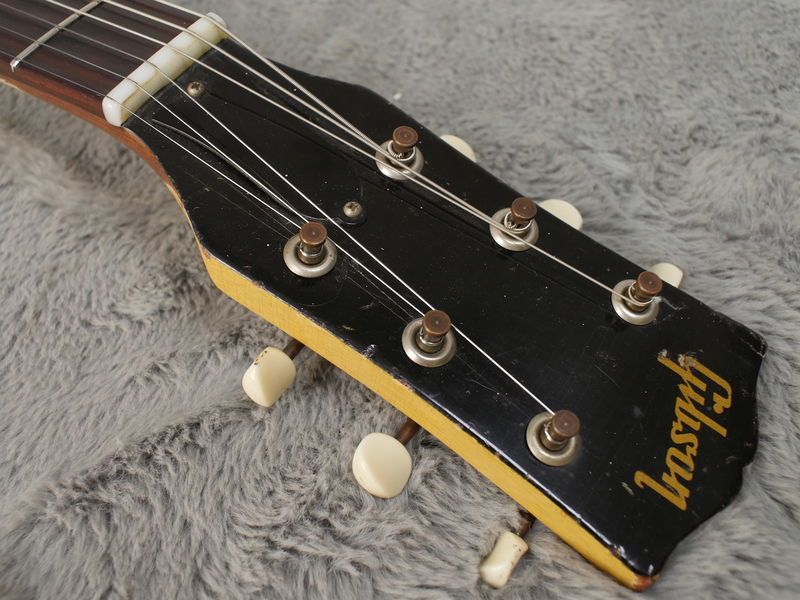 This is a guitar that surely will not disappoint and a rare guitar to see over here, in this original condition. 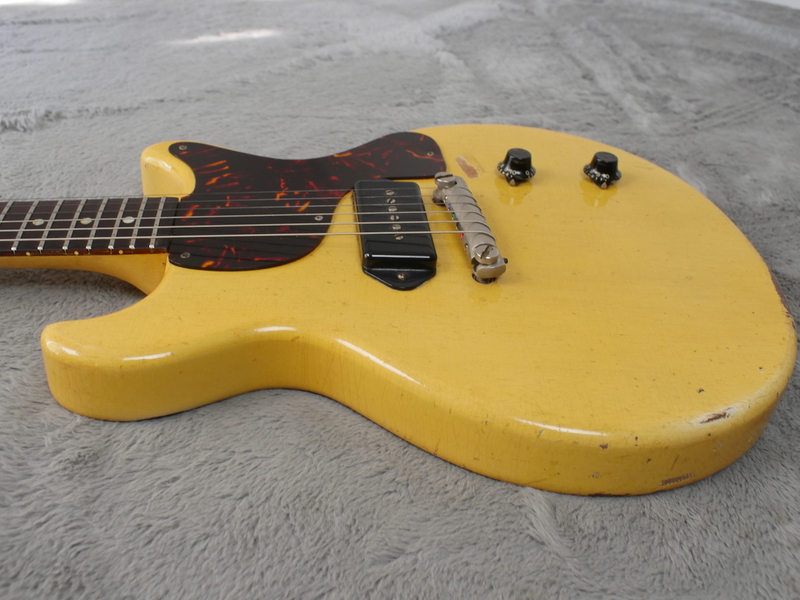 In our opinion, it is also one of the coolest guitars on the block.. ask Keith, I am sure he will agree.